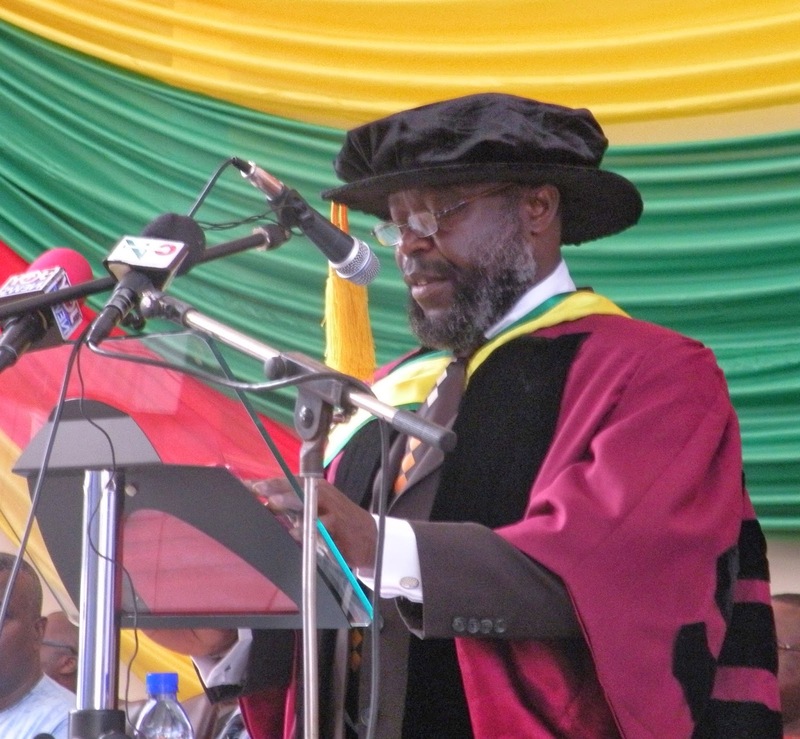 The rector of Ho Polytechnic, Dr. Victor Jakpasu Afun has urged graduates of the institution not to go about intimidating peple with their certificates but rather put the skills and knowledge acquired into self-initiated ventures which will be beneficial to their families and communities as a whole. ‘Don’t go throwing your paper weight about your village, asking people’ “tweaa” are you my co-equal’? Dr. Afun told graduands at the polytechnic’s 14th congregation held over the weekend, where about 1,120 students graduated with Bachelor of Technology (B-TECH) degrees and Higher National Diplomas (HND). The rector whose tenure comes to an end in September this year, urged graduates to exert their heads and hands on the numerous opportunities available to create employment for themselves in order to develop the private sector of the economy. He also urged them to be discipline and embrace principles that will lead them to a success in the world of work. The Minister of finance Mr. Seth Terkper, who is also an alumnus and the guest speaker in an address read on his behalf, also advised the graduands create their own businesses no matter how small it will be in order for them to climb the economic ladder to the apex. “Take advantage of the many opportunities that may come your way to set up your own businesses no matter how small, so that you can become employers and entrepreneurs ready to climb the economic ladder to the apex. Government has a number of small businesses initiatives which I would encourage you to take advantage of for the good of yourselves and the entire nation”. He said and urged the graduands to remain focused and always strive for excellence. Two graduands from the marketing department of the polytechnic wrote their names the history books as being the first ever students to have graduated with first class in HND marketing, an honour which has eluded the department since its inception. The two, Mr. Okorie Moses Chibueze and Mr. Zaforyi Wisdom received standing-ovation and applause when they stepped out to take their certificate. Special awards were also presented to eight deserving graduands who excelled their various courses with the over-all best graduating student award presented to Mr. Adegbile Babatunde Toib, who also graduated with first class in HND Accountacy.